Caterforce Catering has 24 years’ experience creating exciting and delicious food for celebrations and events, small and large. We pride ourself on offering customers fantastic food, personal service and utmost reliability. 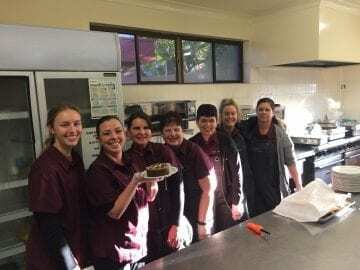 Led by owner, Cathie Reid, the Caterforce team will work with you to craft a menu that suits your needs and taste buds, ensuring that all angles are covered and all options have been explored. With our vast experience and culinary skills, we guarantee to deliver a catering service that is both personal and professional, and bound to impress. FOUR KEY INGREDIENTS THAT MAKE US DIFFERENT! MENU – Unlike restaurant and hotel caterers where you make choices from set menus, Caterforce clients have input, control and flexibility. We can even arrange pre-event tastings. INGREDIENTS – We guarantee fresh, seasonal ingredients. As much as possible, our produce, meats, vegetables and fruit are specially selected from our trusted local suppliers, whom we strongly support. SERVICE – Caterforce Catering delivers a first class, highly professional and polished service. No matter how formal or casual the function or the location, our service standards are always of the highest quality. TRUST – It is very important that you can count on us to deliver and fulfil your wishes on your day. Pre-event consultations ensure that you are 100% satisfied with our preparation. Call 4933 5119 to book Caterforce for your event.